What is kombucha? Some of you out there know, and know it well, some of you have heard of it, but don't exactly know what it is, and some of you have never heard of it. Well, let me explain. Kombucha is fermented tea. It requires a "mother" bacteria or S.C.O.B.Y (symbiotic culture of bacteria and yeast). The scoby basically lives in a large batch of brewed tea for 7 to 10 days and ferments the tea, leaving it chock-full of good bacteria. It might sound a little gross, but trust me, it's good for you - and it tastes good too. Think: sparkling, fizzy tea. I've already experienced some great effects from drinking kombucha everyday - my stomach feels better after meals/no bloating, and I don't have near the insatiable sweet-tooth I normally do. It's remarkable how I don't think about chocolate or something sweet 24/7 now. Thank you kombucha! You can buy already made kombucha at most health food stores and some groceries, such as GT's Kombucha, but it's pricey. So, the better way to go is to brew your own. At first, I was a bit intimidated about doing this. But my cousin, Debbie, showed me how and it's SUPER easy. 4 to 5 organic tea bags or 2 tablespoons of ground tea - I use Newman's Own organic black tea bags, but you could use green tea, as well. 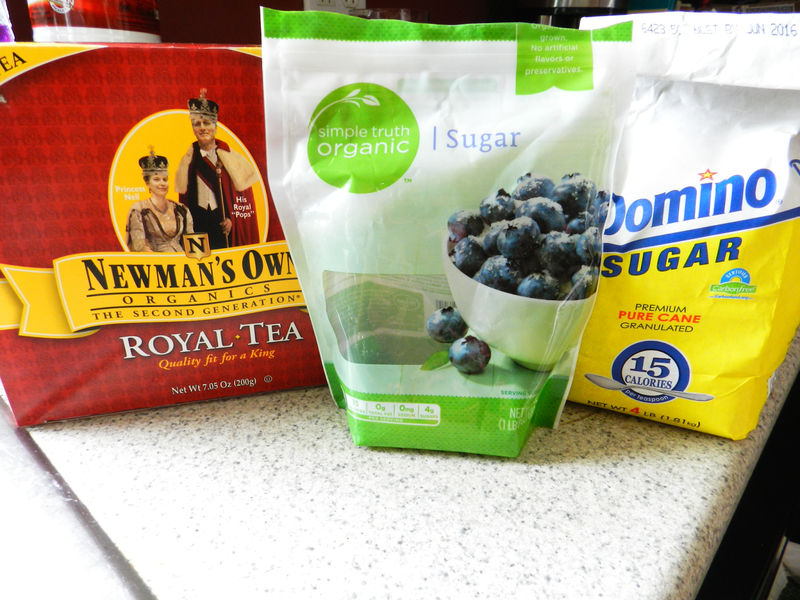 1 cup of sugar (organic, or Domino brand) - The scoby eats the sugar, so don't worry about this sugar content once the tea is fermented. 1 live scoby - Ask a kombucha-making friend for one, buy one here, or make your own scoby from store-bought Kombucha. 1 large glass jar - I use old glass pickle jars. Bring the 12 cups of filtered water to a boil in a large pot. Add the tea bags and let steep for about 10 to 15 minutes. While tea is steeping, bring the extra 2 cups of water to a slight boil and add in sugar. Stir until sugar is dissolved. Remove from heat. Remove tea bags and stir in sugar water mixture. Let it all cool to room temperature. Once cooled, pour brewed tea into large glass jar. Now, here's the gross part - add in the scoby and liquid it came with to the tea. Wash your hands before touching the scoby. Place a coffee filter, or breathable cloth, over the top of the jar and use a rubber band to keep it in place. Set the jar in a cool, dark place, like a pantry, to let it ferment. I put a wash cloth over the jar, to keep it extra dark. Let it sit for 7 to 10 days. After 7 days of fermenting, check your tea. Use a straw and taste the tea that's under the scoby. If it's still a bit sweet, let it ferment a day or two longer. My kombucha is typically ready at the 7th-day mark, but depending on where you live, humidity, your scoby, etc., it may take longer to reach the desired taste. After day 7, just keep tasting it until it suits your tastes. Below is what the scoby looks like in the tea. Again, it's a bit gross, but cool. 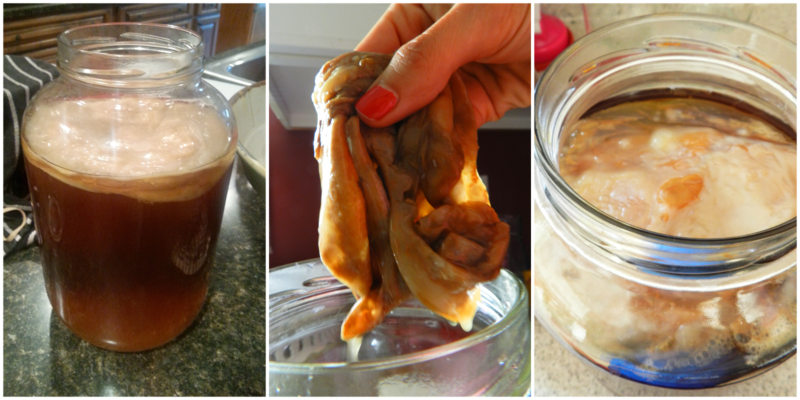 Here's a rundown of what a scoby should look like - sometimes it doesn't always look like this. Once it's ready, remove the scoby and place it and about 1 cup of fermented tea in a pint or quart glass jar. 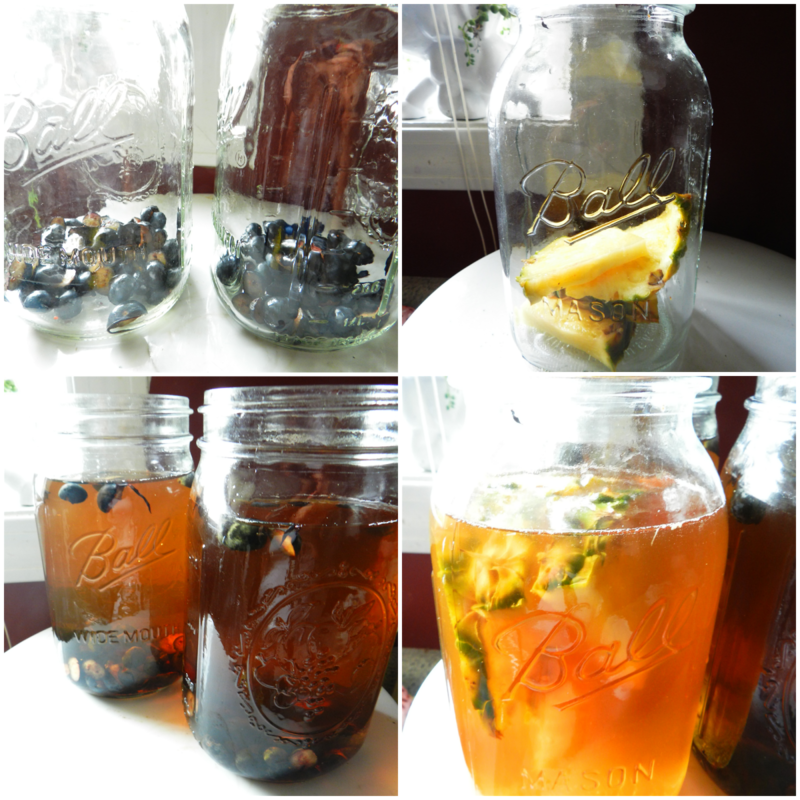 Then pour the remaining tea into quart/pint glass jars and store in the refrigerator. The scoby is now ready for another batch of tea, if desired, or it can be kept in the glass jar with liquid for a week or two, until ready to use again. Be sure to feed it, though, if storing for a longer period. Scobies love sugar. Here's a little infographic I found about scobies that was interesting. They really are like pets. I haven't named mine yet. Haha! What should I name the two I have? 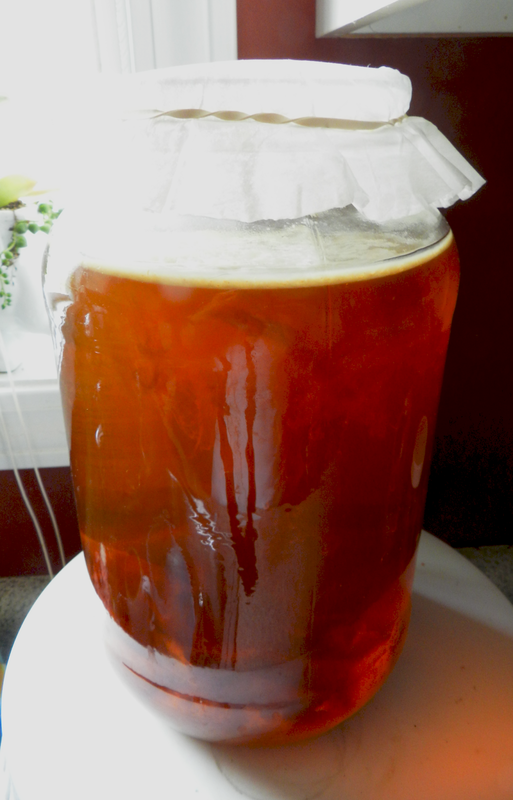 Keep in mind that after a brew or two, your scoby will grow, and produce more scobies. You can separate them and make more brews or you can create a scoby hotel. Yes, it's called a hotel. My cousin has one - it's pretty neat. 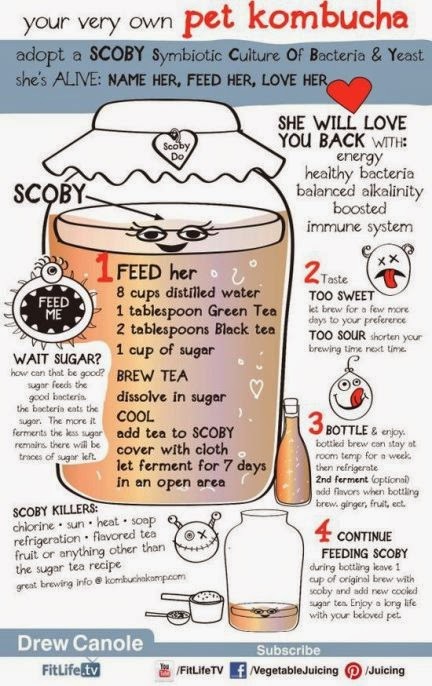 Here's how to create your own scoby hotel. Now that you've made your own kombucha, you can flavor it. It's refreshing to drink it as is, but I love to add flavor to it as well. You can purchase organic syrups to add to it - my cousin does this and it's delicious. Some flavoring options: cherry, blueberry, and pomegranate. But another flavoring option is with fresh fruit and a little ginger. My favorites so far include: blueberry, blackberry, and pineapple ginger. I'm currently experimenting with oranges and strawberries, as well. 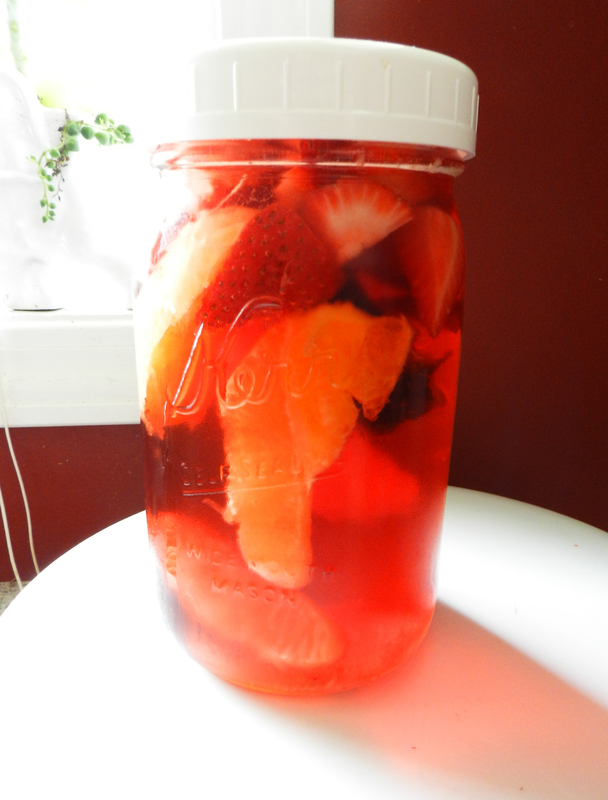 Here's how to flavor kombucha with fruit - just add fruit. :-) It's really easy. Once your kombucha is finished brewing, and ready to pour in jars, this is the time to flavor it. I add enough fruit to the bottom of a quart mason jar to simply cover the bottom. I don't really measure it, but I'd say about 1/2 cup, give or take, of cut-up fruit. You can also add ginger here, too. It's delicious! Just add a slice or two of fresh ginger root. Then pour the tea in the jar, place a plastic lid on the top and let it sit on the counter for 24 hours. It's ready to drink after that, and should be kept in the refrigerator. If you've never had kombucha, you should really try it! Wow this is impressing. 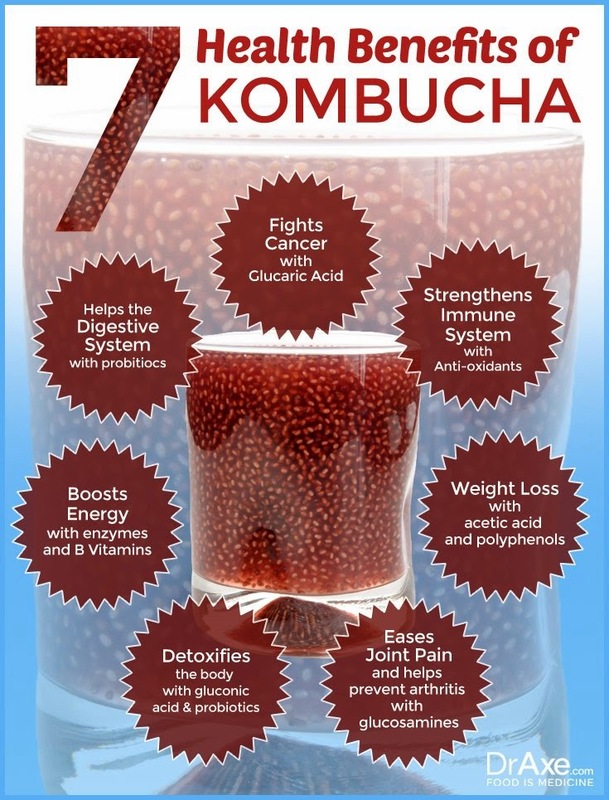 Kombucha has so many benefits and I love the Kombucha pet diagram :) It sounds a little intimidating, like you said, but I think I can definitely give this a try, I might just try a store bought Kombucha first. 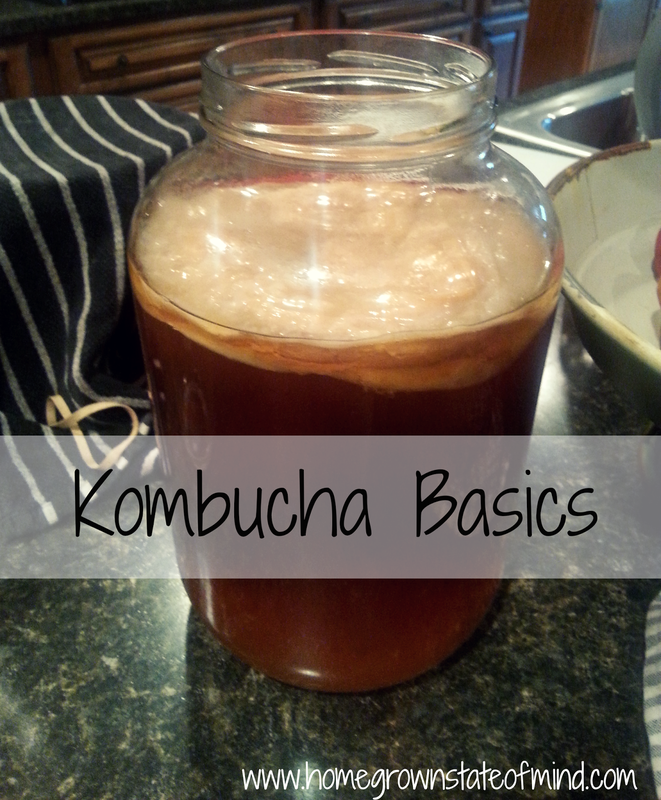 This was a great run down of what Kombucha is, thank you Julie! Interesting! I had no idea about any of this... Thanks for sharing! Thanks for linking up! Looks really interesting! I think I'll have to try.